If I hear one more person refer to the Czech Republic or Slovakia as Czechoslovakia, I’m going to silently curse to myself. The countries have been separated since 1992. Do you think Golden Girls is still on the air as well? If only. Here are five good reasons to forget Czechoslovakia and to check-out-Slovakia. The Tatra Mountains are just a sample of the beauty Slovakia has to offer. Slovakia’s capital, Bratislava is known as the centre of Europe. It’s a one hour drive from Vienna (making the two cities the closest European capitals), two hours from Budapest, and three hours from Prague. A bus ride to Prague or Budapest will only cost you 10-15 dollars. If your European tour is taking you to any of these cities, there’s no excuse not to make a stop in Slovakia’s capital… Well I guess if you had to be somewhere else at a certain time, or if you were about to run out of money and you really wanted to see the Alps, or if you have a reoccurring nightmare about a Slovak hockey team crucifying you on the double cross that appears on the country’s flag. Other than that, no excuses! Traveling around Slovakia is so easy: go to this website, type in where you are starting from, where you want to go, when you want to go, push the button that says “HL’ADAT”, and sit back and think about how great it would be to have a real life friend that was as smart and cool as the internet. Slovakia’s train and bus system will get you to those hard to reach places like the Tatra Mountains and the town from that movie Hostel where you can pay to murder a person. The Bratislava airport is not far from the city and can be reached by public transit. It’s serviced by Ryanair who fly to 19 other cities across Europe for super cheap. In 2009, Slovakia switched to the Euro making it that much more convenient for travelers. Celebrate good times! Whether your poison is beer, wine, or the hard stuff, Slovakia has you covered and all at a reasonable price. Pivnica U Kozla (Goat in the Cellar) is a great bar to grab a beer in if you can find the place. 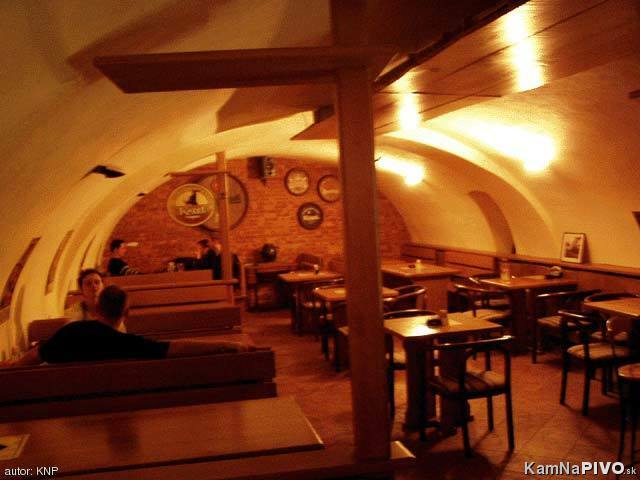 It’s located at 27 Panska in Bratislava’s old town. 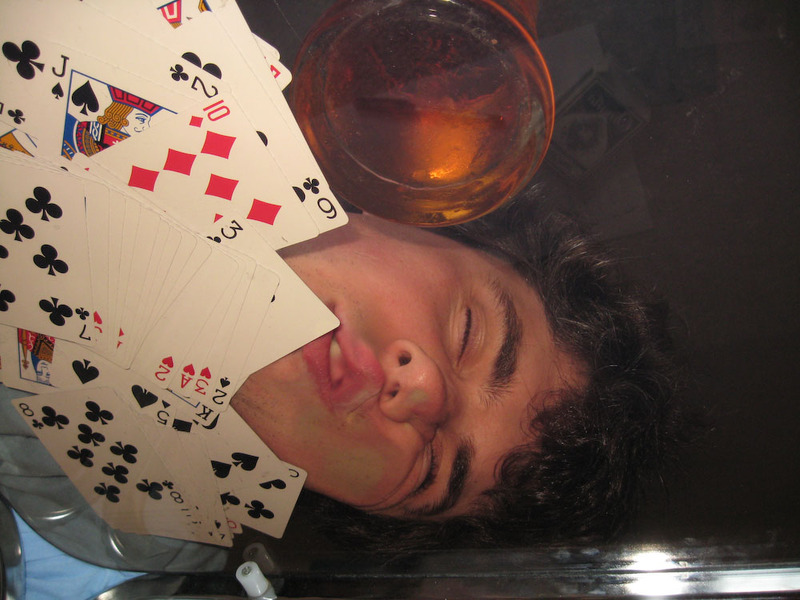 Go down the steep stairs and you will find yourself in a small cellar with big potential for a fun night. Grab a pint of Kozel for €1.20 or a Leffe for €1.50. Be careful going up the stairs on your way out, drunk cellar goats aren’t as sure-footed as mountain goats. For other bars check out this site. It has a list of bars all across Slovakia with beer prices, ratings, photos, and you can even search by brand of beer (in case you are itching for a Guinness). It’s a bit confusing because it’s all in Slovak, but Google Translate should get you through it. If you want to save money go to a supermarket and buy your beer. For a list of beers available check out our hardly professional but totally awesome Slovak-Czech Beer Review. Slovakia’s wine isn’t known worldwide, but that doesn’t mean it isn’t delicious. Gruner Veltliner is the most popular grape variety in Slovakia but you will also find Reislings, Blaufrankisches, St. Laurants, and other barely pronounceable grape varieties that I know nothing about. Wikipedia’s Slovak wine page will sort you out. 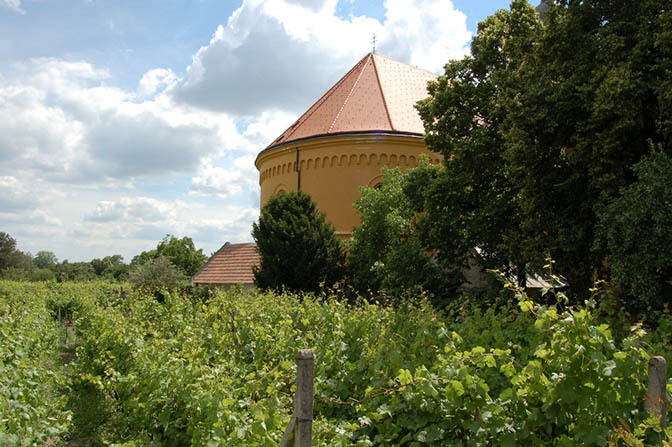 If you are looking to do a winery tour, I recommend the small town of Modra. It seems like every house in the town has a vineyard in the backyard. To taste the wine you can ring the bell at the house and ask for a sample (ie. say “vino” and point at your mouth). If you are lucky enough to be there in April you may be able to catch the Modra Open Cellar Day when 18 local wineries open their doors to present and soon-to-be drunks. For about 20 Euros you can sample 65 wines. The price includes a commemorative wine glass and a map of the town showing you where all the wineries are. Modra is also known for its ceramic pottery so while you are there pickup a pot so you have something classy to puke in on the bus ride back to Bratislava. The Slovak’s hard liquor of choice is a sort of plum brandy called slivovica. It’s deadly – extremely deadly depending on who gives it to you. While the store bought stuff is usually around 40% alcohol, the homemade stuff usually teeters around 50-70%. One shot and you are flammable. If you can try some, I recommend downing it quickly without smelling it. Be prepared to taste it for a couple of days. Ugh! Writing this is bringing back bad memories. Personally, I’m done with slivovica because of a few bad nights, but just because I’m a wimp doesn’t mean you have to be. Other popular Slovak hard liquors are hruškovica (pear brandy) and borovička (juniper berry brandy). Drink in moderation, never drink and drive and if you’re pregnant, remember, your drinking for two now! Whether it’s 18th century wood churches, the ancient log cottages of Vlkolinec, or the many castles scattered across the country, Slovakia’s history and culture are worth indulging in. The Slovak National Museum, the Slovak National Gallery, and the Slovak National Theatre, all in Bratislava, might be a good place to start. 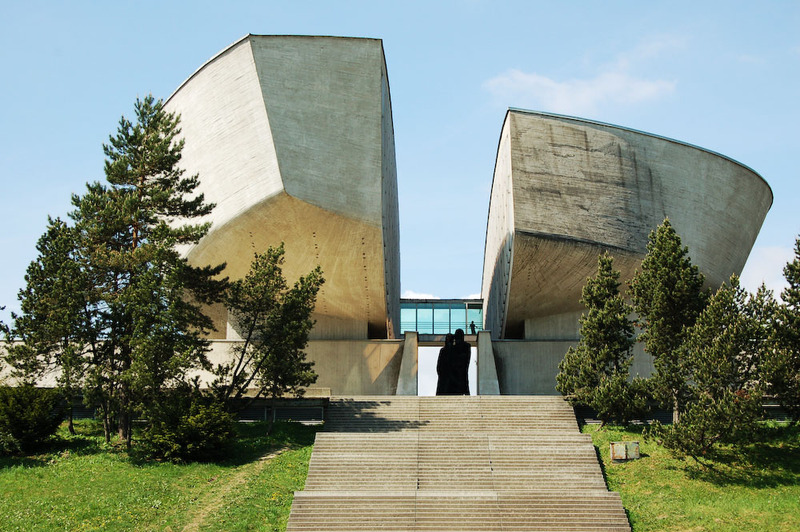 There’s also the Museum of the Slovak National Uprising in Banská Bystrica which documents the anti-nazi resistance and the history of the country between 1938 and 1945. While in central Slovakia you should stop in Banská Štiavnica, a UNESCO world heritage site and former mining town. Go to the Open Air Mining Museum to learn all about how the town operated back in the 16th and 17th century. 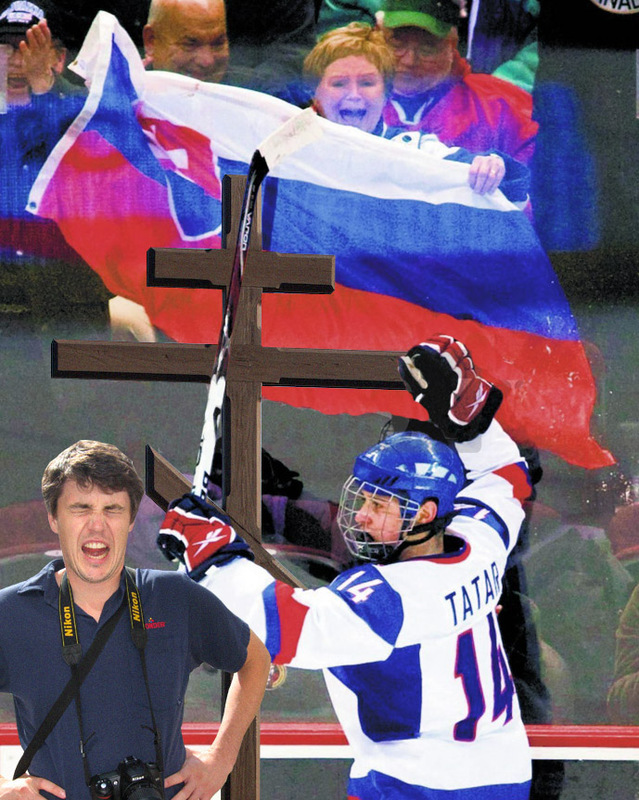 Hockey is Slovakia’s favourite sport. Check out a game in the Slovak hockey league, Slovak Extraliga. The International Ice Hockey Federation ranks the league as the fifth best in Europe. It has 11 teams spread out across Slovakia. Former players include current NHL stars Marian Hossa and Marian Gaborik. Tickets are only about 5 Euros each and a beer at the game will only cost you a Euro. Yes 1 Euro. I’m not going to say too much about castles because there is way too much to say. If you are interested in a fairytale like castle Slovakia has you covered with Bojnice Castle. If authenticity is your thing you should go to Spiš Castle. Want something a little bit darker? Cachtice Castle was the home of Countess Elizabeth Bathory who allegedly killed 650 young women. Legend has it that she bathed in their blood in order to stay young. She was imprisoned in the castle where she died at the age of 54 (but only looked 45). For all things Slovak Castles go to www.castles.sk. It covers 256 castles throughout the country, complete with information and photos. I love Prague. It’s a really cool city with lots of history and amazing architecture, but it is lacking an authentic Czech vibe because of all the tourists and expats. To get a sense of what it’s like to be Czech you have to get out of the city and into a town that isn’t catering to foreign tourists. Slovakia is great because it is often ignored. You don’t have to search hard to find an authentic Slovak experience. You don’t feel like you are experiencing the tourist industry of the country but the actual country. Don’t worry though, many people speak English and with enough research on the internet you will be prepared for even the remotest villages. So go hike a Tatra Mountain, see a hockey game, drink a shot of slivovica and pass out knowing that you came to the right place. Previous Ten Tips on How to Save Money and Boost Adventure While Travelling Next Itchy Feet in Southeast Asia: our journey begins in Bangkok, Thailand. You’re as smart + cool as the internet! Amazeballs, guys. A+ Reporting. We love Slovakia! We just got back and went to Banska Stiavnica and experienced the Open-Air Mining Museum. We didn’t know what to expect, but had a great time learning about this town’s important place in history.